I finally finished the Sockittome Quilt Challenge. Its been fun to make and an interesting exercise. The image below was the overwhelming choice for the project. In fact, I was going to create the quilt as is, with the socks on the line, but I had nowhere to put a green background quilt, so I decided on turquoise and a different setting. 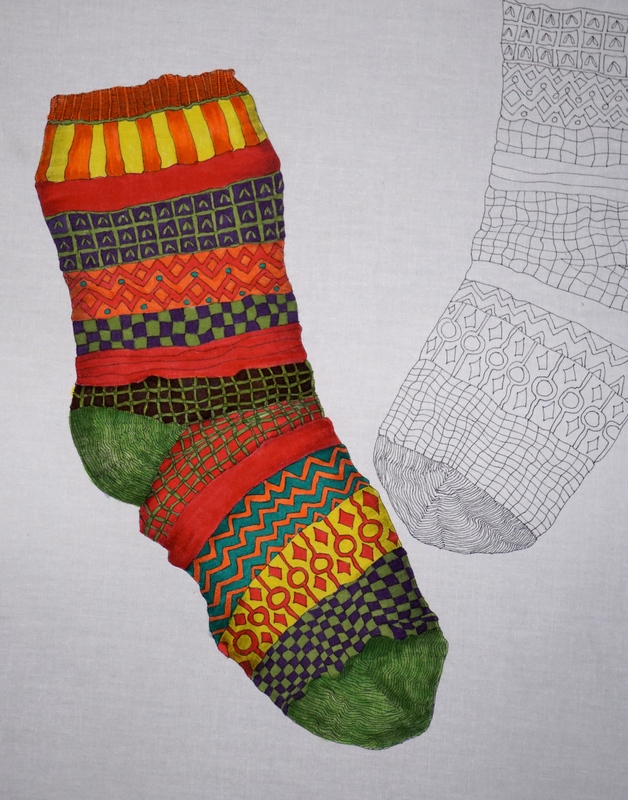 I placed the socks on paper and traced around them to get the outline, then I freehand drew the pattern on the socks. I traced that image onto white fabric, coloured it with pigment ink. Its almost a whole cloth appliqué. Tomorrow I will add the pattern for you to share. I cut them out of the white fabric, and appliquéd them onto the background fabric with smoke monofilament thread. When the appliqués were sitting on the background, I liked the crease in the fabric and the shadow underneath them so that gave me the idea to make them dimensional. 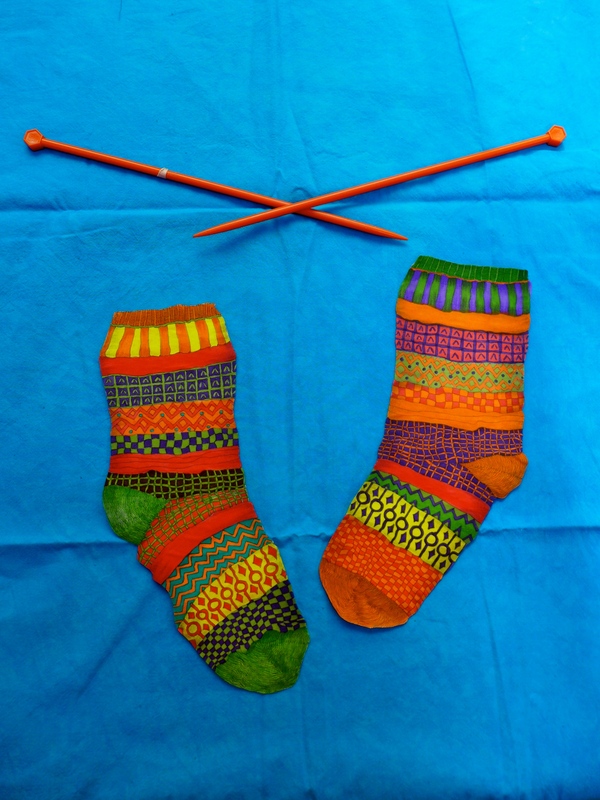 I was in Rome a few months ago and many of the frescoes had dimensional images, I thought I would like to that in a quilt, but I never imagined I would do a sock quilt. Voila, the quilt. The shadow and the crease are done with pencil and a little ink. The background fabric is dense turquoise, and its a Cherrywood fabric. 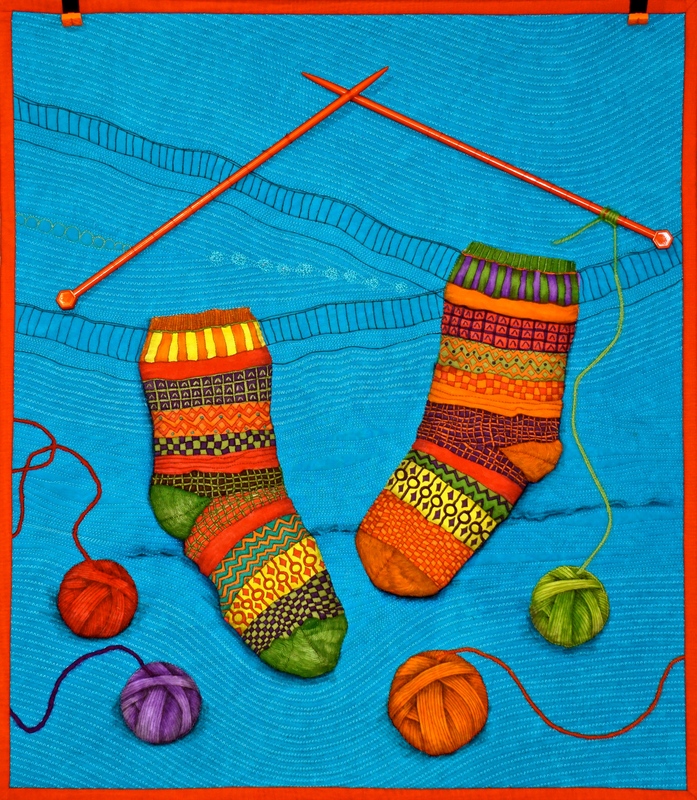 The balls of wool are drawn just like the socks and appliquéd on. I used a zig zag stitch in the quilting and it was fun to do and gives deep texture to the otherwise plain background. The binding is of the finest cotton. It’s almost see through. I bought it in Dubai in an Indian shop. It’s the cotton the Indian women uses for the tight blouse they wear with their sari’s. I bought about 30 colors for a dollar a metre… and now I need more. It’s beautiful to work with and is quite fine for the border. At Houston I was given a pack of clover binding clips…. Love them, love them, love them. So much more efficient and easier to use than pins. Love it! This is one I am tempted to try myself. Thank you for sharing it as the process went along. You can do it Kathy. will you you be entering this in any quilt shows? Truly spectacular and inspiring! This such a fun quilt, full of perfect design elements! Thank you for sharing all your steps and techniques. Wendy, you are welcome. It was a little challenging but interesting. Deb, I hope you give it a go. Simply gorgeous, as always! You inspire me…I’ll get to quilting again once I take care of business matters that are pressing for my attention…NOW!! Rose thinking of you, I will be in NM in a couple of week, would love to catch up. Of course, it will be in the bag. Judy, thanks… I’ll share the mind as I travel. Thank you. 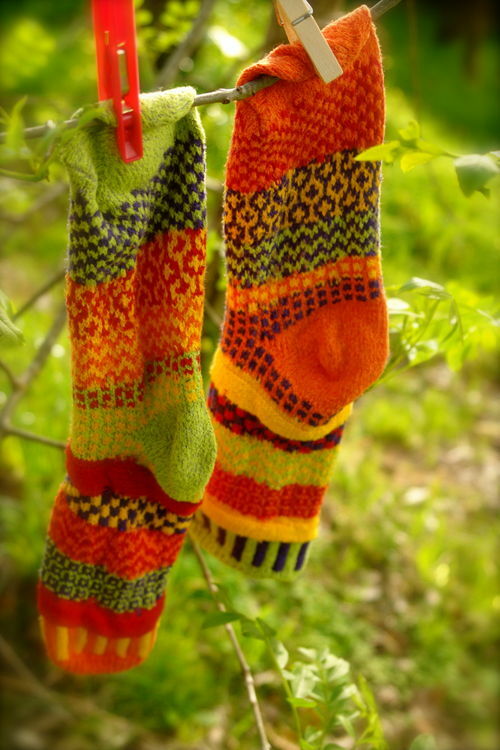 I stopped and started when I got to the socks and yarn.